HK Wax Center – Austin Arbor specializes in Brazilian waxing, as well as a full line of facial waxing and body waxing services. What makes us different is that we use a high quality hard wax and schedule appointments in 30 minute sessions – so no one feels rushed. HK Wax Center – Austin Arbor is owned and operated by a local born “Austinite” which is hard to find these days. Our passion is to make women feel as beautiful on the outside as they are on the inside. The salon is conveniently located by the intersection of 183 and Mopac in North Austin. We are only 1 mile from the Domain in the Arboretum. Looking for our coupons, discounts, or current specials click here. HK Wax Center – Austin Arbor doesn’t want to be like every other wax salon in Austin. Our goal is for you to love the skin you’re in and be able to show it off proudly! Making clients feel beautiful is our greatest honor so we are constantly striving to be the best hair removal service in the Austin area. We use a premium hard wax to ensure each appointment is as quick and painless as possible. Hard wax adheres to the hair, NOT the skin (for info, Hard Wax VS Soft Wax). This means the process is safer and tends to be less painful compared to using other types of waxes. We also schedule most appointments in 30 minute sessions to ensure the client never feels rushed. Most corporate companies want to get as many customers in and out as possible so more money is made. This means the Estheticians and clients are rushed which leads to mistakes happening. We would rather take our time for every appointment so each customer gets a perfect wax. Kristen Spelce was born and raised right here in North Austin. 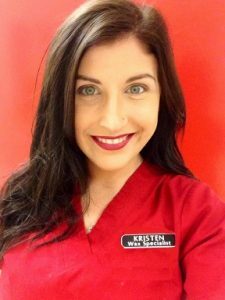 While always knowing she wanted to stay in Austin, Kristen struggled with what career path she wanted to take. She knew she wanted to do something that helped people feel good about themselves. So after she discovered waxing, Kristen instantly knew it would be a perfect fit! She went to Avenue Five Institute to get her Esthetics License and immediately started waxing. She worked for a well known waxing franchise for a couple years to gain experience and then decided to make the jump and open her own waxing center. Thus, The Hiss’n Kitten Waxing Center was born!